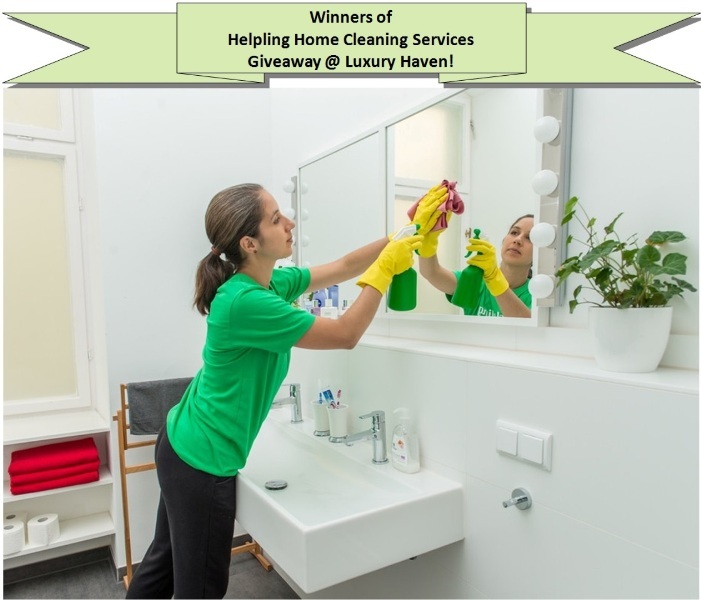 Helpling Home Cleaning Services Giveaway Winners! You are here:Home » Home » Helpling Home Cleaning Services Giveaway Winners! If you are looking for part-time cleaners, Helpling Home Cleaning Service is your answer! Thanks to #Helpling Singapore, 3 readers will be getting helpers to spruce up their nest! Are you one of the lucky few? Winners will get 2 hours of home cleaning services each, courtesy of Helpling Singapore. You can use these 2 hours to clean up your kitchen, and if that is not enough, simply add the number of hours you need, and top up the difference! Name not in the winning list? How about indulging in some lush beauty and wellness treatments like me? Head over to try your luck to Win Rexults medSpa Luxury Face and Body Therapies Worth $480 now! Once all winners have responded, an email will be sent to you with your voucher code for redemption. Read more about Helpling Singapore Home Cleaning Service: Get FREE 1 Hour! Again sob! sob! How I wish they will come over to house to clean. I'm sure the winners will really enjoy this service! For some reason the content of this post is not showing on my screen. Congrats, Winners. Enjoy the session!